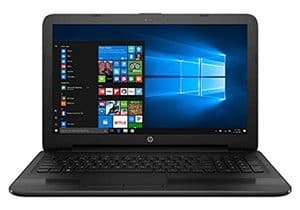 How Much Do I Really Need To Spend On An HP Laptop? What Features Besides CPU And RAM Do I Need To Consider? You know it’s hard picking a laptop to invest your money in, and I’m sure you’re confused right now about all the hundreds of options out there. If that’s the case, fret no more as we got you covered with a list of the best possible machines. 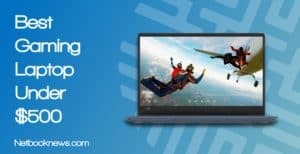 We know just how hard it is to pick the right HP laptop and this is why we decided to come up with a comprehensive HP laptop buying guide – just for you! 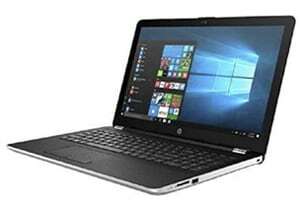 Read more below to see our top picks for the best HP laptop. You don’t have to check every single feature of every HP laptop you find on Amazon or other shopping sites online! Comparing these key factors will ultimately determine which laptop is best for your usage. We all have our own reasons why we want to get a new laptop, so make sure you know yours ahead of time. Are you using your computer for office work? Netflix? AAA gaming? School projects? Below we cover the best options for all those tasks and more. Let’s dive in and see what’s available for any user on any budget! Right now, there is one clear winner in the HP arena that beats out all the competition, and that’s the 2018 Spectre x360. 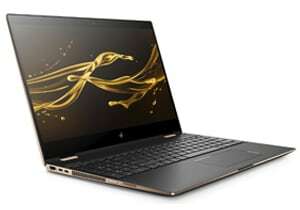 While still boasting very high end specs, the HP Spectre comes in an extremely thin and light profile. 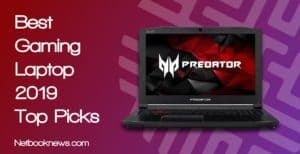 Between the hybrid design and dedicated graphics card, this model has everything you could need no matter how you use your computer. Want to get a great machine but don’t have much money to spend? Try going refurbished and get killer specs with this solid little HP notebook! Just because you are on a budget doesn’t mean you have to give up performance. 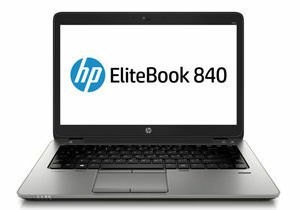 HP offers refurbished versions of the high end Elitebook 840 model for well under $500. Refurbed units have been restored to factory settings, cleaned, and repaired so they work like new. Although these units have been previously used, they far outclass machines that are much more expensive. With the amount of RAM you get here and the i5 processor, you can expect much better speeds than with machines twice the price. The Elitebook 840 further includes features you won’t find anywhere else for the price. A fully backlit keyboard and an unbelievably fast solid state drive are extreme rarities in this price range. Other than the refurbished issue, you should keep in mind two different issues before picking this model. You don’t get a touch screen, and this isn’t an ultra thin or lightweight model, weighing a full 6 pounds. Don’t want to risk potential problems with a refurbished unit or prefer something lighter? 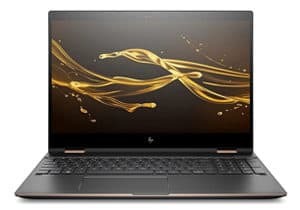 The new 2018 HP 15.6″ HD Premium Thin and Light model should be your top budget pick. Unfortunately it only has half the RAM for the same price. That means you’ll get less speed when running multiple programs at once, but you also get a brand new computer in exchange. Need a lightweight machine to carry around classes and don’t want to worry about plugging in during the day? For college students, this should easily be your top HP pick. The appropriately named HP Envy gives you both of those. With up to 10 and a half hours of battery life and a 13 inch display weighing under 3 pounds, you can pack this thing around all day with no problem. The micro edge display features tiny bezels as well. That means that even though this is a 13 inch model, you still get plenty of viewing area. The Envy is no slouch in the hardware specs department, either! 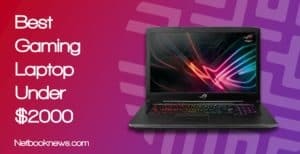 A Core i7-7500U laptop with a 256GB SSD storage and 8GB RAM that’s priced under $1000? Not only that, but this unit also has a 1080p resolution on an IPS screen panel. Speed, screen quality, and a high battery life should keep you going with the peace of mind of not having to recharge anytime soon. I personally recommend you check this out and skip the previous contender if you wish to do intermediate tasks with advanced photo / video editing for school projects. Looking for the most cutting edge graphical experience possible? Whether you want to do VR games on the Rift or play the latest MMO or FPS game, the Omen X is your guy! HP may be most known for business and home machines, but they’ve got some pretty killer gaming rigs as well. The best of the best right now is the Omen X, which absolutely destroys the competition. If you crave the most graphical power possible, this is the machine to pick. While the CPU and RAM are top-notch, it’s the graphics card that is the real draw here. An 8GB GTX 1070 is at the upper end of what can be found in any laptop these days. Want to run Black Ops 4 or Kingdom Come: Deliverance at max settings with no frame rate drops? That’s no problem here. The Omen X is also specifically designed for overclocking, so you can get even more power out of the GPU and CPU. All that gaming power under the hood comes at a cost, however. This model is a whopping 10 pounds, which is more than three times the weight of the ultraportable HP models. 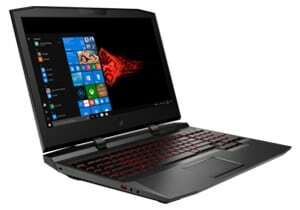 Not willing to go that heavy with a portable computer? The HP Pavilion Gaming Laptop is half the weight, although it drops down from a GTX 1070 to a GTX 1050 Ti. For most gamers that won’t make much of a difference. If you demand the best graphics possible though, you’ll need to deal with the increased weight of the Omen X. Looking for a sturdy, high quality laptop with plenty of extra features and a gigantic storage capacity? This should be your top pick for a clamshell laptop to use in the office or at a point of sale. For a business machine, you want something reliable that hits the right balance between features and cost. This model offers a little bit of everything, with a touch screen that also features the sturdiness of the clamshell design. The i5 processor and 8GB of RAM will give you great speeds for most business applications. The storage capacity is where this unit shines, however. With an SSD you get super fast boot up speeds, but then there’s a massive 2TB HDD for storage. If you need to save tons of spreadsheets, ad image files, and so on, you won’t run out of room. The price is also a huge plus here. It’s set low enough that you could buy enough of these for the whole office to use and not go over budget. 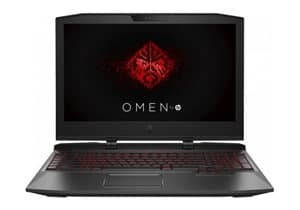 Want the best machine for any possible use — gaming, office, school, home, etc.? This should easily be your top pick if you prefer to stick with an HP model. For the best overall machine, we want a laptop that offers absolutely everything with no compromises. 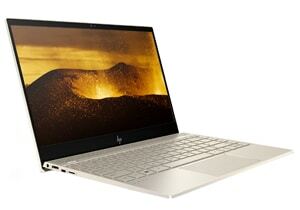 The HP Spectre is the epitome of power and precision in a lightweight package. 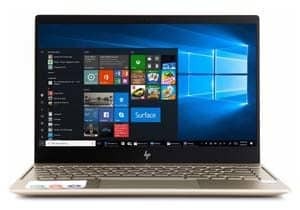 If portability is what really matters to you, I personally recommend you get the HP Spectre X360 and skip the other contenders entirely. With it’s hybrid 2-in-1 design, you can use this beast of a machine as a full laptop or as a light tablet. Excellent speed and a total lack of lag aren’t even concerns here. With an 8th gen, i7 CPU and 16GB of RAM, expect to run any programs you want simultaneously without any issues. Besides the large solid state drive for quick boot up, this version of the Spectre even manages to fit a graphics card inside it’s slim profile. Although it comes at a steep cost, there isn’t much this little powerhouse of a portable computer can’t do. If you can afford it, skip the 4 options above and settle on this – our personal choice! Probably your biggest deciding factor will be in how much you are willing to pay for an HP laptop. Setting your budget should right away narrow down your selection and give you the best value for your money. 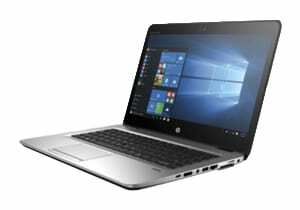 As our budget pick at the top of the list of contenders shows, it isn’t hard to find a great HP model at under $500. If you want a brand new, non-refurbished machine with the best features you can find in this year, expect to instead spend in the $600 – $1,000 range. For gamers or power users who demand cutting edge hardware, your price will shoot up into the $1,600+ range. One of the primary features that will vary by price is he CPU, which is what’s responsible for processing tasks. Always aim for a faster processor when possible. 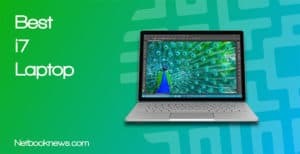 Ideally, you should get an entry-level Core i3 laptop if you wish to use a laptop only for browsing, social media, Netflix, and some basic tasks. 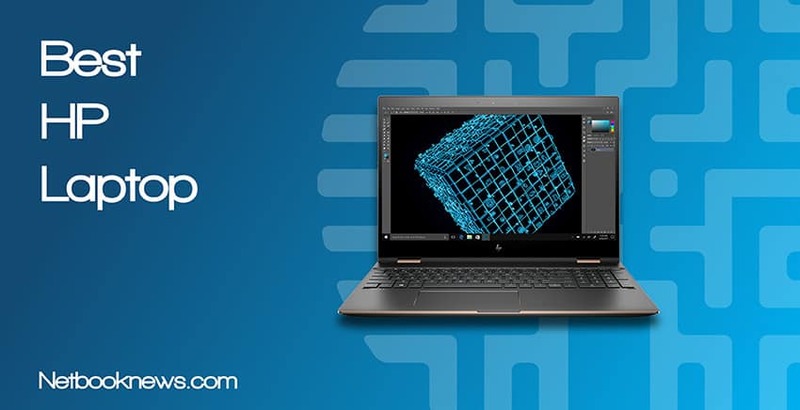 This article is aimed to provide you the best experience on a laptop so we’re presenting you primarily models installed with a Core i4 or i7 processor. Don’t forget that laptops come in a variety of forms. A general rule of thumb when buying a laptop is to always consider portability and convenience. If you use a laptop mostly on a desk, I suggest you go get a traditional clam-type designed laptop. On the other hand, if you really need to get things done on-the-go, I personally recommend you get a laptop that can be folded back, or one that you can detach from the keyboard. Battery life is another major determining factor when picking a new laptop. Battery life varies greatly from one model to another. 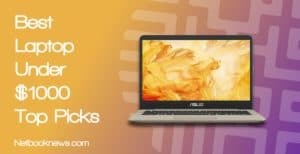 If you use your computer regularly but can’t easily have access to a wall socket, a laptop with a longer battery life should do you wonders. In general, higher resolution screens and dedicated graphics cards will eat up battery life much faster. Getting an energy efficient 8th gen processor can also help increase battery life. It’s all about knowing what your needs are to effectively make the right selection. Don’t get overwhelmed with all the options you can find online and instead focus on the things you need. Bear in mind the key points we have discussed above and you shouldn’t have any regrets at the end of the day. Which options in our list do you think is best for you? Are you having problems deciding which contender to pick? Tell us in the comments below and we’ll be happy to help you out.